Ignoring demands by the US and several European countries to stop rewarding terror, the PA in 2017 is actually increasing these expenditures significantly. The Palestinian Authority (PA) has significantly increased its spending on salaries to terrorists serving time in Israeli prisons and to families of terrorist “Martyrs” – those killed while committing acts of terror against Israel. According to the Palestinian Media Watch (PMW), the PA’s publicized 2017 budget shows an increase in funding for salaries to terrorist prisoners has leaped by 13 percent from NIS 488 million ($135 million) in 2016 to NIS 550 million ($158 million), and payments to families of “Martyrs” have increase by four percent from NIS 660 million ($183 million) to NIS 687 million ($197 million). In total, the PA’s direct terror-funding expenditures in 2017 reached NIS 1.237 billion ($355 million). 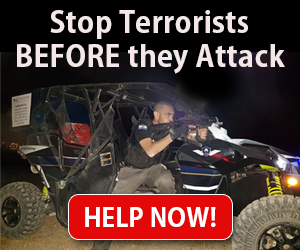 Ignoring demands by the US and several European countries to stop rewarding terror, the PA in 2017 is doing the exact opposite by significantly increasing these expenditures. According to PA law, the more heinous the act of terror committed, the greater the reward. In July, PA head Mahmoud Abbas pledged not to stop paying the salaries. “Even if I will have to leave my position, I will not compromise on the salary of a martyr, Shahid, or a prisoner, as I am the president of the entire Palestinian people,” he declared.